The sibling relationship is one of the longest lasting relationships of a person’s life. 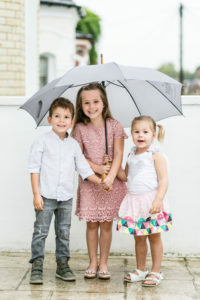 Promoting a positive and secure relationship among siblings can become a baseline for future relationships and connections throughout their adult lives. 1.) Provide Individual Feedback. Focus specifically on each child’s personal best behaviors and accomplishments without commenting on how his or her sibling is achieving or has achieved in the past. Providing honest feedback for the individual is a more positive way to motivate future achievement. If you notice your children are becoming more competitive with each other, try having them team up to compete against a parent instead. For example, saying, “Can you both, get those toys cleaned up before I clean up this group of toys?” can encourage teamwork among siblings rather than competition. 2.) Create Opportunities for Sibling Connection. For same gendered siblings, sharing a room can be a positive bonding experience teaching compromise and cooperation. At times, it may be important to set rules for the bedroom, like this child’s things must stay on this side of the room, and the other child’s things must stay on the other side of the room. An example would be each child keeping their own personal items on their own side of the bed. Creating family-focused activities like game nights or family walks invites shared positive experiences. 3.) Teach Social Problem-Solving Skills. Listen carefully when children become frustrated during their interactions with one another. Sometimes, it is possible to let them work it out themselves, but at other times it is necessary for a parent to intervene. When supporting children who are learning how to problem solve their conflicts, it is often beneficial for parents to act as an impartial mediator to help children figure out a solution that will support both side’s interests. Help children to think about how to find a solution versus figuring out who is right or wrong. 4.) Introduce Meaningful Apologies. After a conflict, it is often a valuable exercise to wait until a child is calm to introduce the idea for making amends with her sibling. Help her understand an apology is more than just the words you say, but the attitude with which you apologize. Encourage your child to think of a way to show that she is sorry rather than just stating, “I’m sorry.” This exercise builds empathy and compassion which is a valuable take away throughout her life. 5.) Be Proactive. If you notice conflict arises at the same time of day or in the same situation daily, think together with your children about ways to prevent that conflict. Often setting family rules or limits about an activity can promote more positive interactions. Following through with consequences reinforces those expectations making the positive interactions more habitual. Staying ahead of potential conflict encourages more positive interactions during those challenging parts of the day. Working together with your children to promote positive relationships within the home transform sibling rivalries into harmonious sibling relationships.